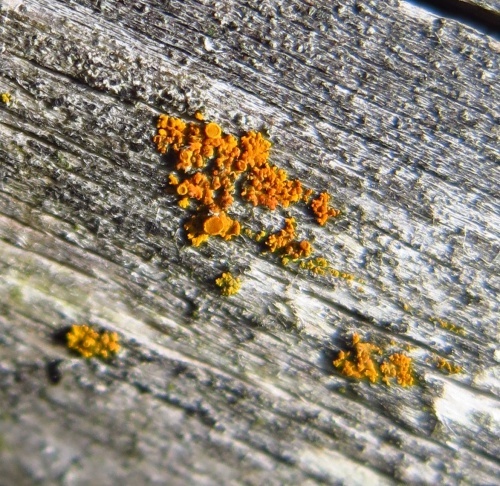 A leafy lichen which may be yellow to deep orange in colour with very narrow (< 1mm), adpressed, somewhat serpentine lobes. On nutrient-enriched rocks, walls, concrete etc. Widespread and locally common in Britain, though tending to be more frequent in upland areas.